Manchester United manager Ole Gunnar Solskjaer made four changes to the team that beat Arsenal 3-1 in the FA Cup over the weekend. 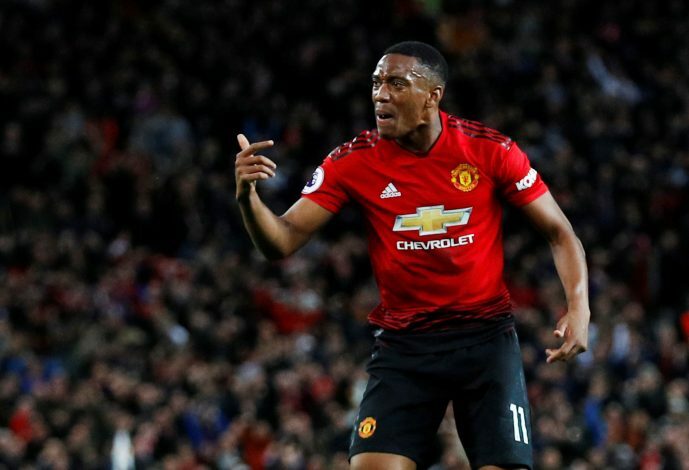 One of the notable names to miss the tie against Burnley in the Premier League was Anthony Martial. The Frenchman has been one of their in-form players, and scored against Arsenal as well at the Emirates after coming on as a second half substitute. Many fans were wondering why the Frenchman wasn’t named in squad versus the Clarets. United missed Martial’s eye for goals after managing a 2-2 draw at Old Trafford on Tuesday. The hosts were 2-0 down, before a Paul Pogba penalty and a late goal from Victor Lindelof helped Ole keep his unbeaten run extending to nine matches across all competitions. Prior to the match, Ole confirmed the reason behind Martial missing the crucial encounter. The United legend stated that the forward had picked up an injury, which was the reason behind his omission. Martial was expected to return to the team for the match, but he picked up a knock. The interim boss revealed to Sky Sports: ‘There’s a couple of small little niggles that we need to protect and little bit of rotation. Of course we’ve got loads of games coming up, we’ve played quite a few games. Martial has been a crucial player for United this season, having netted 10 goals in 25 matches so far. United travel to Leicester City on Sunday, and fans will be hoping that the player recovers quickly to make a return.